These cards are slowly being recognised as a really useful aid for someone with dementia. They work on many levels. For the person with dementia, it means they can maintain their independence for longer which is really important for self-esteem. If you know of someone anywhere in the world who would benefit from these and is for any reason unable to obtain some, please let me know and I will make some for them and send them out Free of charge. 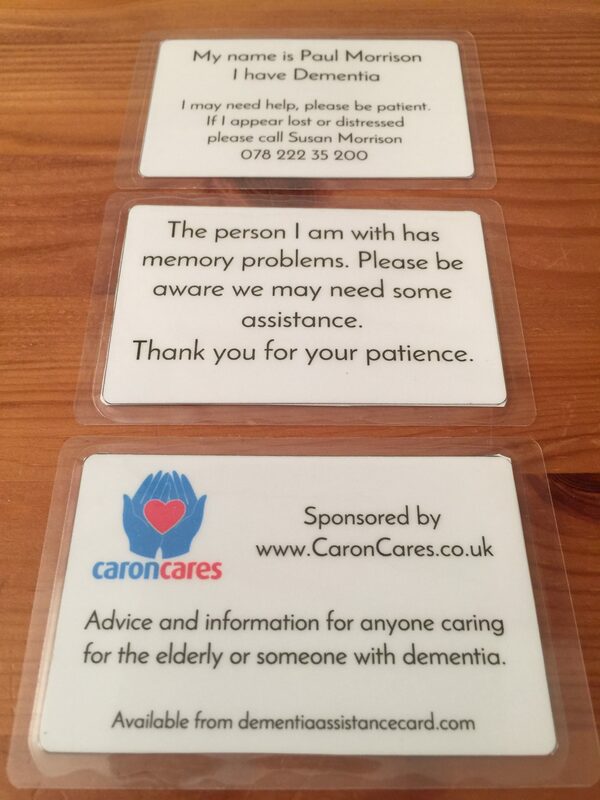 My mission is to ensure that as many people as possible with dementia have these cards.Sharing is Caring. Thank you. Please use the share buttons below to help this message travel further. I just have to say what you are doing is just wonderful. My question to you is…would you mind if we used you as a resource in our book. We are revising and updating it in a different format for amazon rather than publishing an updated hard copy to save expenses. I have posted your link for dementia assistance cards on my FB dementia caregivers page several times already.